February Brings A New Block & A New House! Goodness, it’s been awhile! Hi all! This month is quite a whirlwind over here in Dock land. Whew. First off, we’re buying a house!!! Yipeeeee! 6 is a crowd in this little bungalow, and sure enough, God’s provided a new exciting provision in the way of a great new/old home with more square footage, a more family-friendly layout, a great local school, and more original hardwood floors than you could shake a stick at! The story of how we came to find it is nothing short of supernatural…will share in a later post, along with pics. Needless to say, we’re excited. 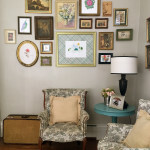 Let the re-decorating begin…my Pinterest is out of control with fun ideas. So there’s that. Huge exciting. Sorting, packing, purging, cleaning….and I love every minute of it. What else? 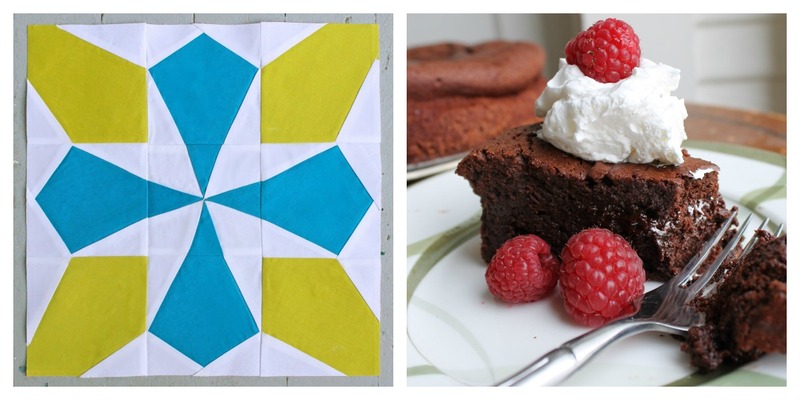 Well, February’s Sugar Block is out, “North Star”, as well as my favorite ooey gooey flourless chocolate cake recipe. YUM! I absolutely loved coming up with this block! You’d think I’d have sworn off paper piecing forever after 640 patches in my recent Tilt-A-Whirl (pattern coming soon! ), but no, no, no! Paper piecing is my forever bestie. I will never tire of not having to worry about perfectly accurate cutting or seam allowances, just stitching on the lines and getting a perfect block! 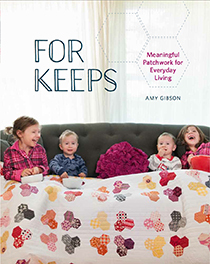 But some of you have had trouble, which is totally understandable- paper piecing can be frustrating when you’re just getting used to it, or if it’s just not your slice of cake…that’s the thing about quilting. 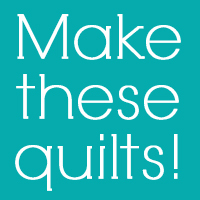 SO many ways to make beautiful quilts, and they won’t all be your favorite, to be sure. Here are a couple of things that may help though, if this month’s block is making you crazy. 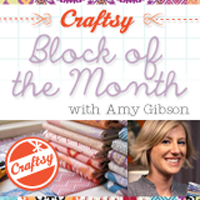 First and foremost, be sure you’ve watched the October 2012 Craftsy BOM lesson (I know, my email said Dec- my bad). Truly, before I saw someone paper piece on video, I absolutely could not visualize it….”WHA??? I sew on the lines and somehow a block is magically created??? I don’t get it!”…trust me, I’ve been there. This technique cannot be explained in words. 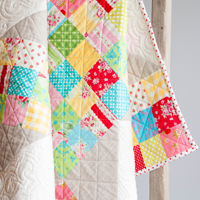 Faith of Fresh Lemons has a lovely photo tutorial that may help, plus her blog is lovely! Check it out. Trouble opening the template link? Try opening with a different browser. The wondrous Interwebs are finnicky sometimes. I finally finished my Block of the Month quilt last week. Quite proud my myself since this was my very first experience with this. Thanks Amy, sure enjoyed learning it from you. I’m really enjoying the blks and can’t wait to see the March one. I’m finding that paper piecing is easy and my blks always come out to be the correct size or very close to it that’s for sure. I’m always excited to see a blk turn out to be the size it’s to be rather than smaller because I haven’t quite gotten the hang of sewing the scant 1/4″ but only been machine quilting for a year now so I’m still learning. Looking forward to the March blk and the giveaway. Congratulations on buying a house! We just closed on ours, though haven’t finished moving yet. 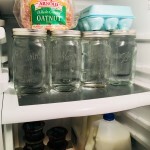 We also bought a new refrigerator and we are sort of waiting on that! :) So exciting! congrats on the new house! I really don’t have a way to capture blocks with a cam. I only have SLR, the old fashioned way! I do have a scanner in my printer do you know if that would work? Scan you picture and then save it to your computer. You can then upload your picture to flickr. oh I forgot my laptop has a cam in it I hold up the squares and capture or hold up the laptop and get an odd angle, I just can’t afford a cam now. Good morning to you Amy. How exciting to think about a new-to-you house!! I’ve been stalling about making February’s paper pieced block. What is interesting about my procrastination is that I caught Fons and Porter this weekend on my local PBS and they did a paper piece lesson. Then you reminded me about Faith’s tutorial. So NOW armed with new knowledge and skill set, I shall begin working on my block today!! Cool how Abba is even interested in quilting!! I forgot to ask you…are the blocks we are making going to be sashed in a future lesson? Should I sash them now or later? I love the Sugar Block Club…I made the Banana Cream Whoopie Pies yesterday and they are fabulous! 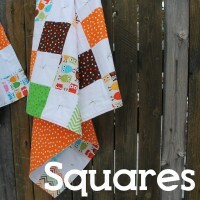 Haven’t made my blocks yet, though the fabric is all picked out and cut. Just have to get around to sewing! Looking forward to March already. 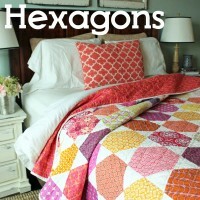 Is there a completed quilt picture of this quilt? 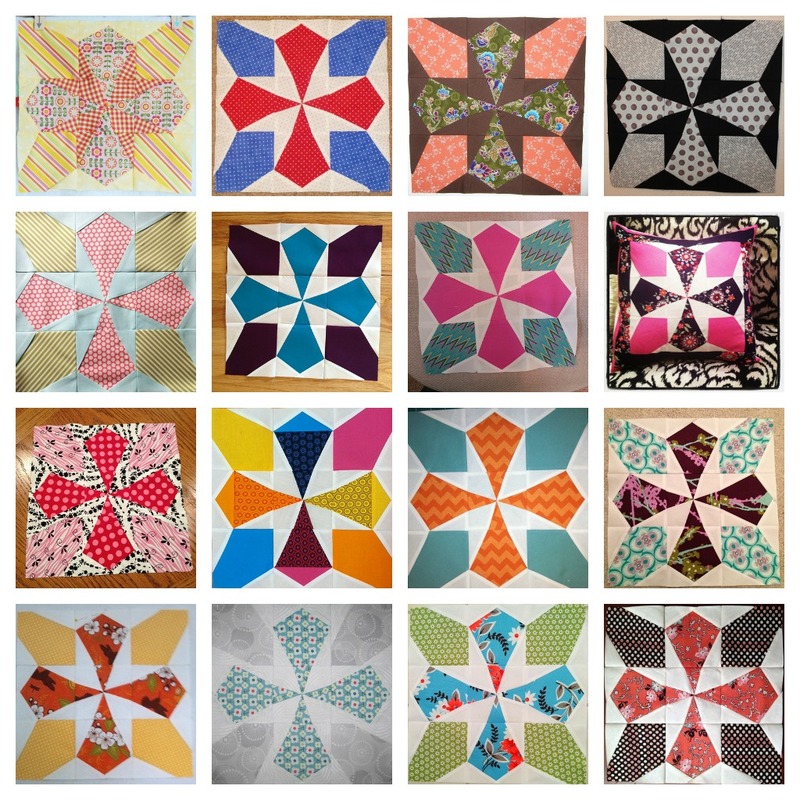 I would like a picture to put in the notebook I am making …adding your patterns each month. So happy to hear that I am not the only one that the Feb. block is driving crazy. I don’t know why I have let it get the best of me. I didn’t have any trouble with the BOM block. I worked on the Feb. one for about 5 hours yesterday and am at it this morning. Also, so happy for you about your move. There’s nothing funner than fixing up a new home. Good luck and happy fixin. Hi Amy, congratulations on your new home, good luck with everything x.
Congrats on the house, Amy! How exciting, thanks for the update. 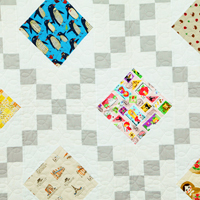 So excited for your Tilt-a-Whirl pattern and I love that the quilting appears to be straight lines! Congrats on the new house! I can’t wait to have hardwood floors again. I’ve just switched to a gluten-free diet, so a flourless chocolate cake sounds pretty good right now! :) I’m loving all the variations in the blocks so far too. Congrats on the new house. I’ve made and posted my block but I keep talking myself out of the cake. No doubt I will cave before the month is out. The recipe is sitting on the kitchen counter.taunting me! Congratulations!!! How exciting for you and your family. First time paper-piecer, and I adore it, but my block turned out a little small even after measuring everything. Apart from making sure the printer is at 100% and the check line is 1″, is there anything else I should do? 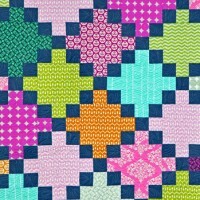 I’d like to make a quilt that mixes this technique in with traditional piecing. Thanks! Amy, that cake looks scrummy!! Pity it’s not on my Type 2 Diabetes diet!! Lol. Pls feel free to eat a piece or two or three……….. For me!! You didn’t tell us, what did your daughter’s teacher think of her sewing repair?? ACK! 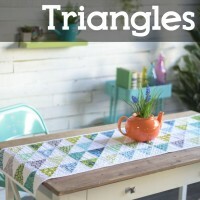 Ok, I’ve been postponing starting the Feb block because I’ve never paper-pieced and I’m hesitant to try it. I guess you are going to drag me kicking and screaming into it with the carrot of a give-a-way. So I’m committing right now to starting the block this weekend. Please don’t do the give away until the end of the month so this working Yeti has time to re-do it 6 times to get it right. 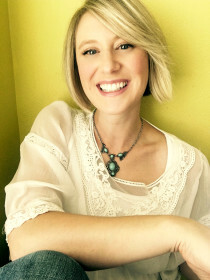 Amy, I am so glad I subscribe to your blog by email because I read it first thing this morning and you have given me a great attitude for the day. I just love your energy and enthusiasm!! Congrats on the new house, so exciting! The Feb. block was my first paper piecing and I am in love! 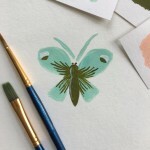 A new home – how exciting. Love my Sugar Block Club! Looking forward to reading the story of your new house and also seeing photos. I am enjoying the Sugar Block segments. The paper piecing was great fun, since I enjoy the process of the project. 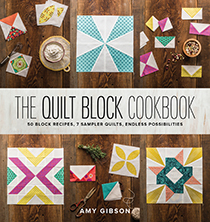 Since your ideas for the Sugar Block BOM come from the old quilting book that you received as a gift, how do you go about designing your blocks that you choose for the group? Also, what do the pictures of the blocks in the book look like? I made the flourless chocolate cake for work and it was enjoyed by all. Looking forward to next month’s block. I had to go back to your 2012 BOM lesson on paper piecing for this one. It was so GOOD to hear your voice again and watch your wonderful instructions. 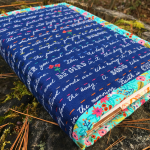 I’ll probably need to refer back again, as your teaching method has been the best I’ve encountered as a fairly beginning quilter. You are in inspiration! Congrats on the new home. Enjoy all the fun changes. Looking forward to seeing pictures. I’ve just finished my February block. It’s wonderful but I had problems printing the templates the right size, the 1 inch test line was really helpful. The other problem was matching my lines and corners. I hope practice will help, and I will definitely practice! I found your video really, really helpful. Highly reccomended for this block or any other paper foundation project. Thanks!! And congratulations on your new home. THAT is a project! Good luck! Oh my goodness, lady, somehow I’m not getting your posts in my reader and I’m so far behind! A new house! So exciting! I can’t wait to hear the story behind it and see some pictures! Congratulations!! so exciting about the house!! congrats! I never got the directions for the February block. I have January and March. Will you please email the directions for and picture for February. Thanks. I am already behind because I couldn’t decide on fabric for this project. 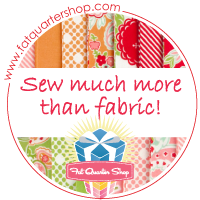 I did finally receive my fat quarters and have all the directions copied for the first three blocks, so I was hoping to start soon. I do love looking at everyone’s blocks. Congratulations on the new house Amy; very exciting time for you and your family!